Quality is complex and difficult to define, and institutions and organisations often have their own definitions, measurements and assurance processes. The Care Excellence Framework (CEF), developed and used at University Hospitals of North Midlands NHS Trust, is a unique, integrated framework of measurement, clinical observation, patient and staff interviews and benchmarking. It also has an internal accreditation system that provides assurance from ward to board based on the five Care Quality Commission (CQC) domains and reflects CQC standards. The CEF has been established in its existing form since autumn 2016 and has been used in all areas of the organisation. 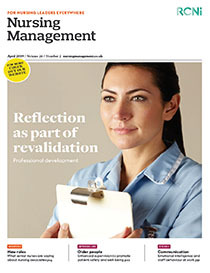 This article provides an overview of the development and use of the CEF in an acute care setting, demonstrates how the framework acts as an internal accreditation system, and shows how it can encourage staff to undertake effective change and transform care from ordinary to excellent.